Details 2014 BMW 320i NAVIGATION, AWD, SUNROOF. 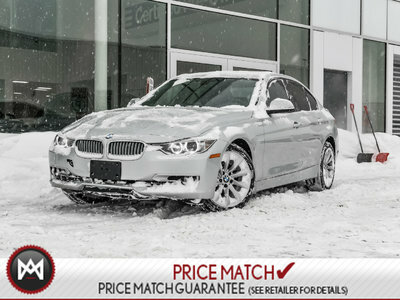 2014 BMW 320i xDrive Sedan with 60,000kms. Car is equipped with modern line package, lighting package and navigation package. This will give you things like bi xenon headlights, navigation, park distance control, 18" wheels auto dimming mirrors and much more. Financing options availible. Only at Elite BMW, Ottawa's BMW superstore!